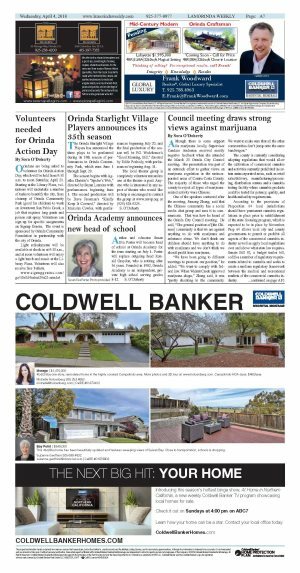 Although some would have preferred a certain date to keep the pressure on to find a solution, the Orinda City Council decided to defer indefinitely further action on the approval of the eighth amendment to the development agreement for Wilder. The main controversy concerns the elimination of planned sidewalks for a large part of the development. Approval of the eighth amendment to the development agreement had been on the council's consent calendar, but was pulled, as it was clear that there was further public concern. City Manager Steve Salomon noted at the outset that the city council had received significant testimony and written comments indicating that a large number of Wilder residents want sidewalks. He proposed that the matter be continued "so that we can work with the developer to make that happen." Project Director Bruce Yamamoto said that everyone is very passionate about Wilder. There are continuing discussions about 4-foot paths in all sections, and there are ways to achieve this, he said. He also wanted to clarify that the special assessment that Wilder residents pay is for public improvements, such as the Art and Garden Center and playing fields, and cannot be used for the Quarry House, for example, or sidewalks on private streets. 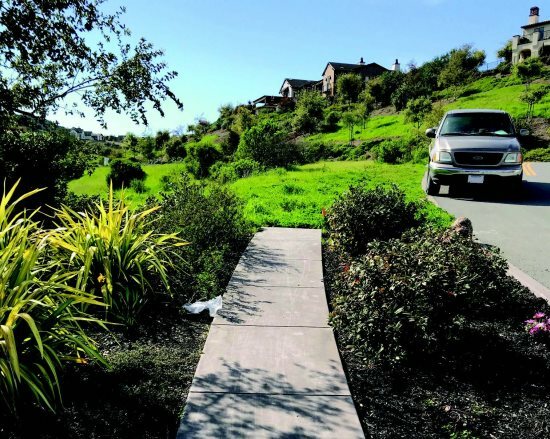 Originally, the development agreement provided for pathways of decomposed granite, but the developer thought that cement sidewalks would be easier for long-term maintenance. A number of 3-foot sidewalks were poured, but were later found to be out of compliance with state law. Since the residents on those streets had an expectation of sidewalks, the developer planned to replace them with 4-foot compliant sidewalks, but to recover some of the costs by eliminating sidewalks in other parts of Wilder. Mark Bresnik told the council that there is an ever-growing group of Wilder residents who favor sidewalks, and submitted a letter signed by 55 voting-age residents who occupy 31 homes in Wilder. He welcomed the effort to continue negotiations and hoped that residents would be included. Rick Kay spoke of the elimination of sidewalks as a safety issue, and presented the council with photos taken from the driver's seat of his car as he drove around Wilder, demonstrating how a child might not be seen by a driver in Wilder's undulating terrain. Julie Liu said that all purchasers of Davidon homes were told that there would be sidewalks, and that they therefore have expectations that it will be safe to walk in the development. A local developer and Wilder resident, Ben Zarrin, told the council that his wife has been frightened by a near miss accident in Wilder. "It's not complicated," he said, "it's about safety." He urged the parties to allow residents to be involved in the negotiations. There was some disquiet expressed about the role of the Wilder Homeowners Association. Roxanne Christophe noted that the HOA members who comprised the pathway accessibility committee were two residents who already have sidewalks in front of their homes. She believes that they did not represent the other homeowners, and that the HOA has disseminated misinformation on the issue.